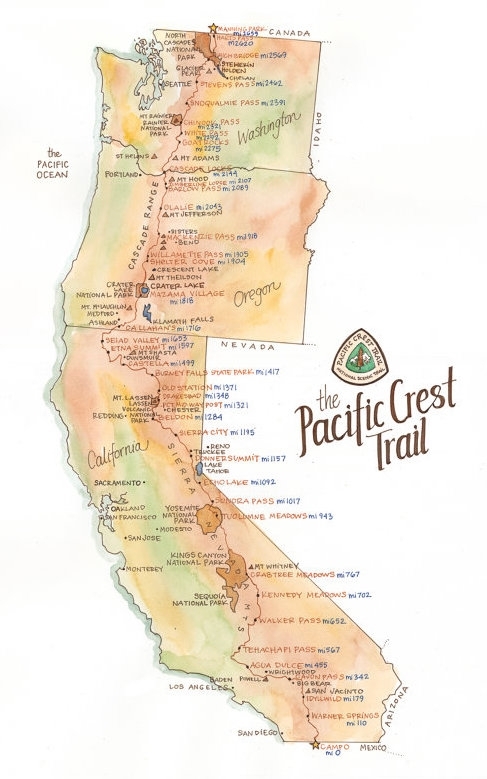 Today I start my journey from Mexico to Canada on the PCT. I’ve been dreaming about this for almost two years — and it’s finally here. It’s surreal to think that, over the next six months, I will take five million steps across 2,650 miles. I will hike through 25 national forests and seven national parks in three states with nothing but what I can carry on my back. I will experience throbbing feet, sweltering deserts, icy passes, gorgeous sunsets, freezing nights, hungry bears, breathtaking views, pelting rain, and pure elation. This feels like a grand beginning. But the journey really started two years ago when 200 people helped me walk 2,200 miles from Georgia to Maine on the Appalachian Trail. My community’s generous support of my 2016 crowdfunding campaign gave me the gift of the most humbling, challenging, and affirming experience of my life. With privilege comes the responsibility to leverage it in service of others. That’s why, starting today and ending when I finish the PCT in 180 days, I am raising $10,000 for three nonprofits that are helping girls practice communication, creativity, and bravery in the outdoors. GirlVentures: Facilitating outdoor adventures for middle- and high schoolers to build confidence and strengthen bonds. Gaia Girls Passages: Providing nature-based mentoring through rite of passage ceremonies. The Girls Empowerment Workshop: Educating and inspiring teens to find their voice and cultivate self-respect. One hundred percent of what we raise will go directly to these inspiring women-run nonprofits. The goal of this project is to support young women from low-income backgrounds to attend nature-based girl empowerment programs. Every penny raised will allow GirlVentures, Gaia Girls Passages, and The Girls Empowerment Workshop to support underprivileged girls in embarking on their own personal transformation journeys, helping them to grow into leaders who are prepared to take big risks and use their voices to demand positive change.